The Enneagram is the cornerstone of all of Quantum Vision's work in consulting, coaching, training and counselling. We combine insights from the Enneagram and other traditional psychological studies to formulate programmes and strategies in our interventions with your company. 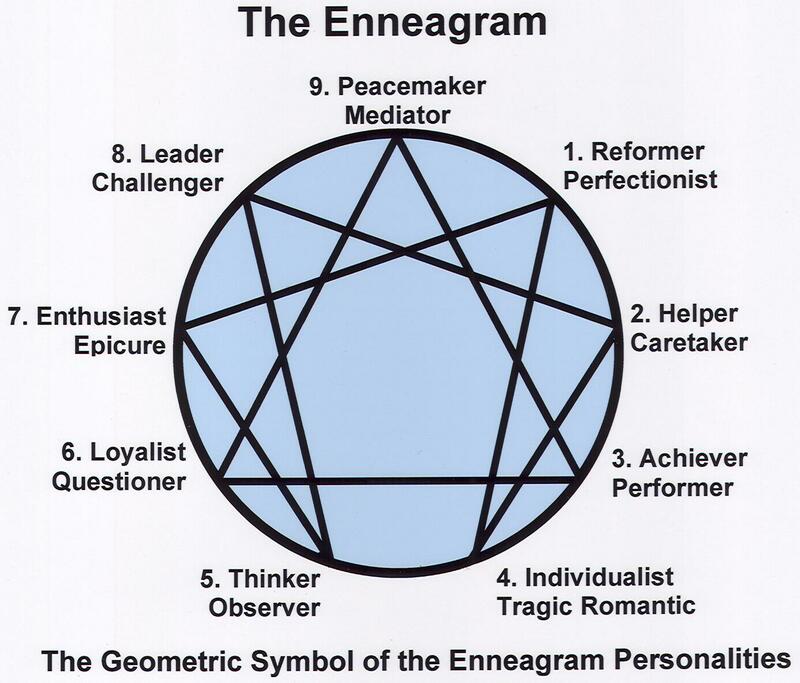 The Enneagram is a dynamic personality profiling system defining nine personality styles. The nine different Enneagram styles, identified as numbers One to Nine, reflect distinct habits of thinking, feeling and behaving. Each of us has only one place, or number, on the Enneagram. However, as we grow and develop, the characteristics we display will either soften or become more pronounced. In addition to our core Enneagram style, there are four other styles that contribute to our personality. How can I benefit from the Enneagram? Most of the time, we go through life on 'automatic pilot', reacting with our habitual patterns. While this is easy and comfortable to do, it often is not the most appropriate nor useful response for each situation. We are less likely to achieve our desired outcome when we simply react rather than when we are able to choose our response. Human beings are very complex and it is unlikely that two people with similar profiles will behave in exactly the same way. What can be said about people with similar profiles, however, is that they are likely to have the same general outlook on the world and become alerted to similar specific events which act as triggers to their behaviour. The Enneagram will enable you to better understand aspects of your life strategy which is about your energy and motivation. You will get a glimpse into the hidden motivations within you that spring into action whenever you feel psychologically threatened or vulnerable. When our values are assailed, discounted, derided, or in any way violated, we feel threatened and frightened. When our strengths are challenged, impugned, distrusted, or dismissed, we feel anxious, guilty, ashamed, and angry. Every person shares common human needs such as those for security, consistency, esteem, acceptance, etc. When these basic needs are satisfied, then higher needs for self actualization and self transcendence come to the fore and attract our energy. If certain basic needs are not attended to and fulfilled, then we experience vulnerability around them, accompanied by loss, hurt, fear, and anger. Can the Enneagram be used in business? Yes, for communication, leadership, team-building, coaching, performance appraisals, human resource, customer relations, change and conflict management, and especially emotional intelligence in the workplace. Learning about the other eight types helps us see others 'as they are to themselves.' We realise their very different ways of perceiving the world, become less judgmental, and are more open to listening to others' points of view. We become more understanding of the world view that a person of a different type operates from. Rather than blaming people for the way they are, we can understand why they are that way. We will also know how to communicate and relate to them based on their needs and enjoy more effective communication with them. The Enneagram gives us the framework for honouring the diversity of ourselves and others, helping us improve our relationships tremendously.